There is another song just like that. One that people, decade after decade, have mistaken as a Hymn to America: ‘This Land is Your Land’ by Woody Guthrie. There’s a lot of anger in that song. It comes from the same emotional place that Steinbeck’s ‘Grapes of Wrath’ comes from. Bitterness and rage pulse through those works, much like they do in ‘Born in the U.S.A.”. I agree with you as far as the political confusion. I tend to vote mostly Republican. On occasion, I split a ticket. But, I am often embarrassed by my party and there seems to be little option, unfortunately. I mean, Trump? Really? Wow, I didn’t know that! Thanks for filling me in- I always loved that song too. Thanks for the info, feel kinda stupid but knowing this makes the song better i think. Always thought its not like Bruce to be so “patriotic”. “Patriotic” needn’t mean mindless flag-waving. If we get beyond that, we’ll recognize that people like Bruce and Woody are/were the real deal. And I doubt that either would support Ron Paul. Its like you learn my thoughts! You appear to understand a lot approximately this, such as you wrote the e book in it or something. I think that you can do with some percent to drive the message home a little bit, but other than that, that is great blog. A great read. I’ll definitely be back. It seems that people who never spent the time to hear what they listen too are surprised by the words…. I think it would be wise to hear what Paul is saying! You might find it as stupid as both the republican and democratic party BS! Learn some history, and hear what you listen too, and for God’s sake don’t just by into anything! It’s generally helpful to examine posts from fellow authors and implement items from other sites. Americans have fought in wars for decades to allow us to speak freely. 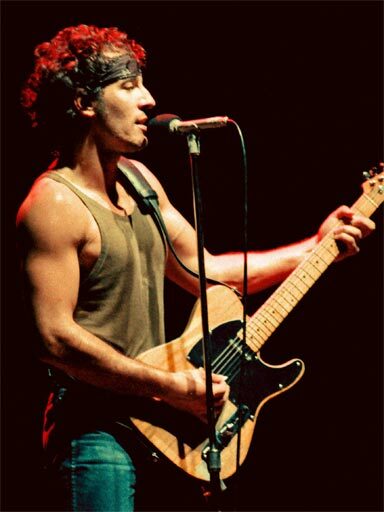 I have heard good & bad about Bruce so I’m not going to judge the man. Born In The USA was 1 of the best songs of my childhood. 30 years later, Born in the USA remains one of the best songs. Thomas Jefferson said, “Dissent is the highest form of patriotism.” “Born in the USA’ by Bruce Springsteen is indeed just as much a patriotic song as “God Bless America”, by Irving Berlin, “God Bless the USA” by Lee Greenwood, and our national anthem “The Star Bangled Banner” by Francis Scott Key. Yes, this song does criticize the mistreatment done to returning Vietnam veterans. But, to all the idiots who wrongfully accuse “Born in the USA” of being an unpatriotic song, since when is it unpatriotic to criticize the mistreatment done to our returning veterans!? Under the 1st Amendment, we all have to the right openly criticize what is wrong with our country. Indeed, real patriotic Americans, like Bruce Springsteen, Woody Harrelson, and Martin Sheen, speak out about what is wrong with our country! There are few things more patriotic than supporting our troops, and I believe that Bruce Springsteen was infuriated by how the monsters of “peace” treated the soldiers when they came home. He was anti-war but pro-veteran and pro-military. You don’t have to support all warfare to support our troops. That’s a good way of wording it! This song isn’t anti-American or against patriotism. It’s about the brutal mistreatment of Vietnam War veterans that drove so many of them to suicide, and what is most important to them. 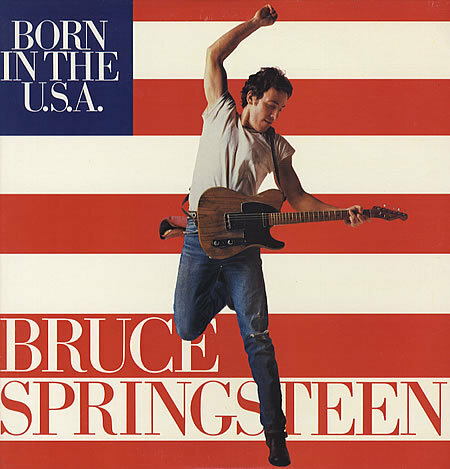 Despite all the song’s main character has been through, he is still proud to be “Born In the USA”, even when life is rough and he goes to places he never wished he had to go to. His patriotism brought him through some of his worst days, and he’s glad he can say that he’s born in the USA. 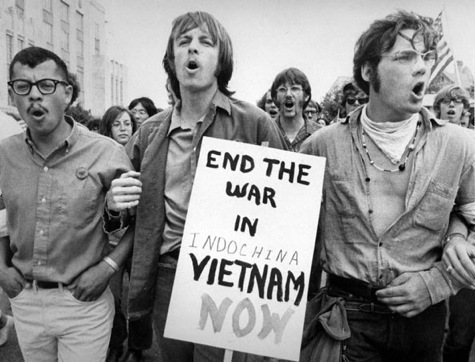 This song is anti-Vietnam War, not anti-American. If anything, it’s using true patriotism as a final solace for a crushed man whom no one gave the welcome he truly deserved. That’s the beauty of this song. You wrote, “Is it possible to be a proud American and to be proud of our military, yet to be ashamed of some of our nation’s foreign policies?” My answer is no! Not “ashamed”! “Critical”, but also in context and intellectually honest about it, then yes. Happy Independence Day 2015!